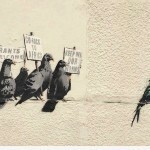 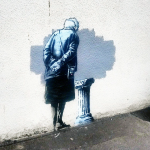 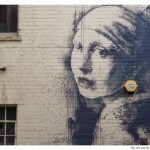 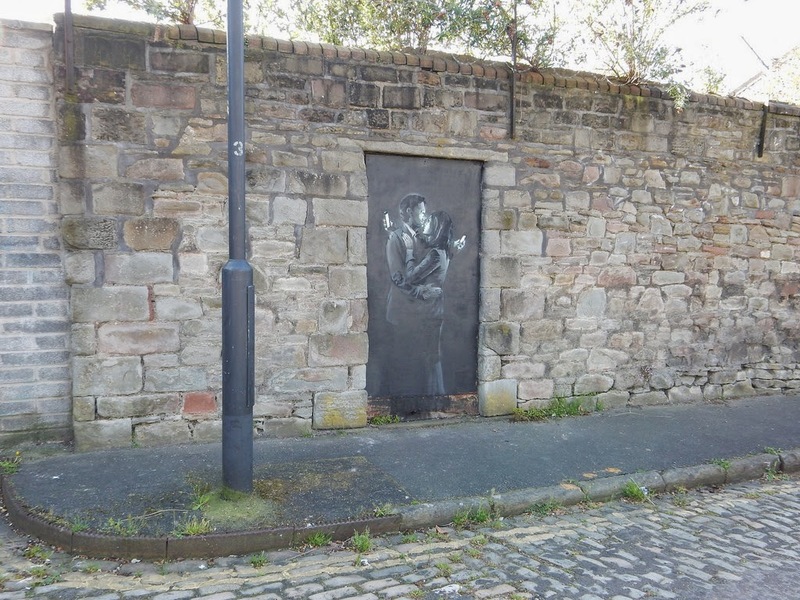 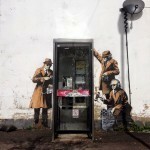 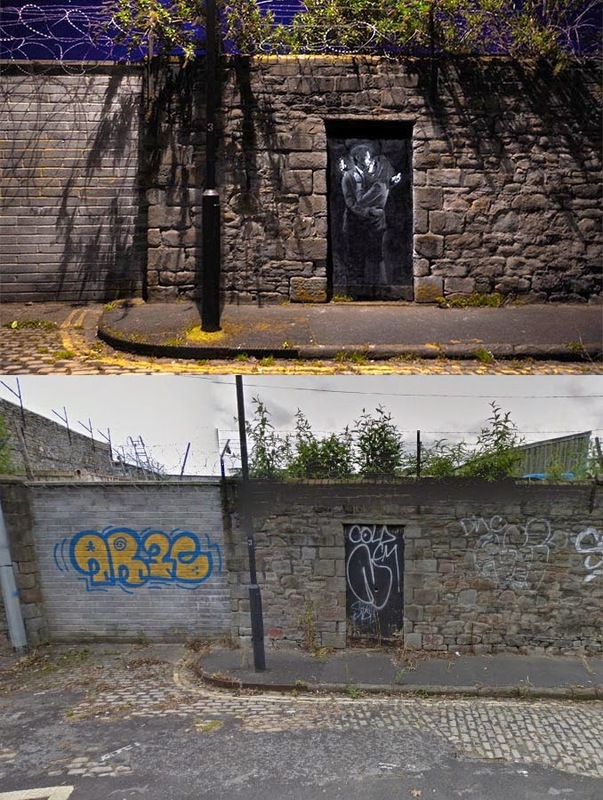 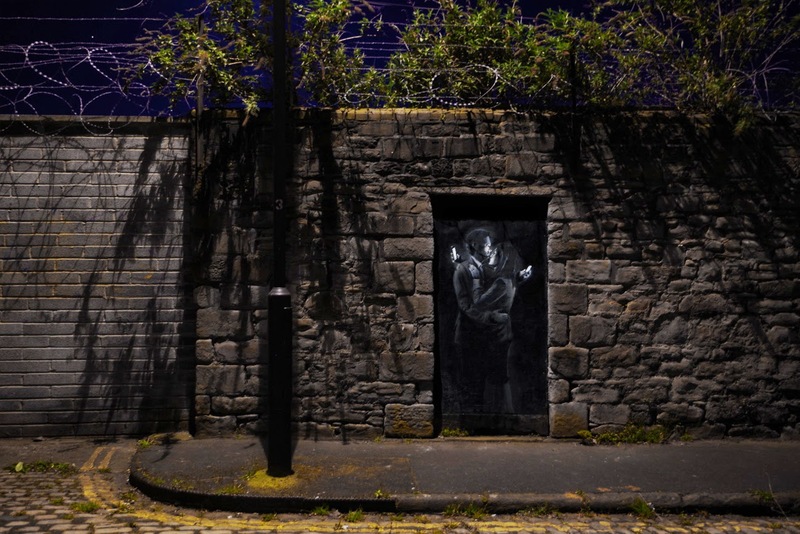 After appearing yesterday in Cheltenham, UK (covered), Banksy just updated his official website with two images from this brilliant new street piece. 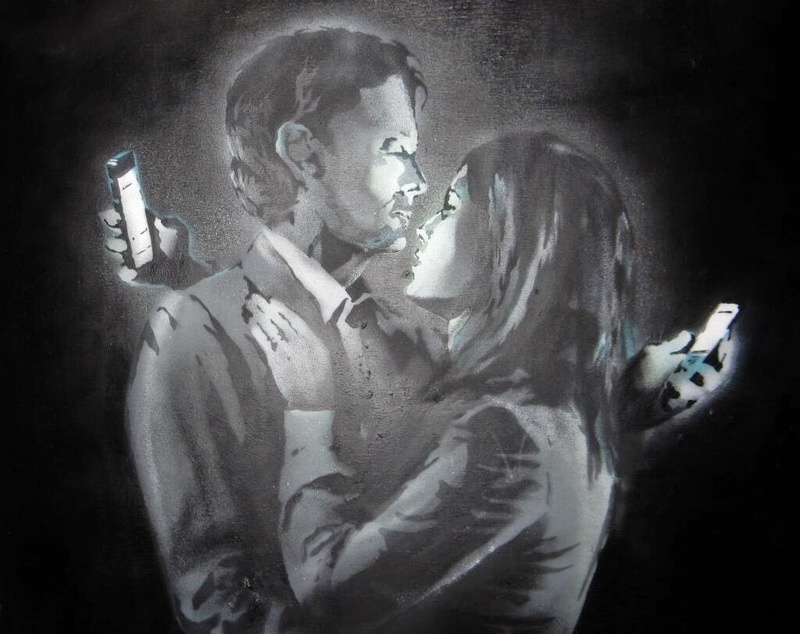 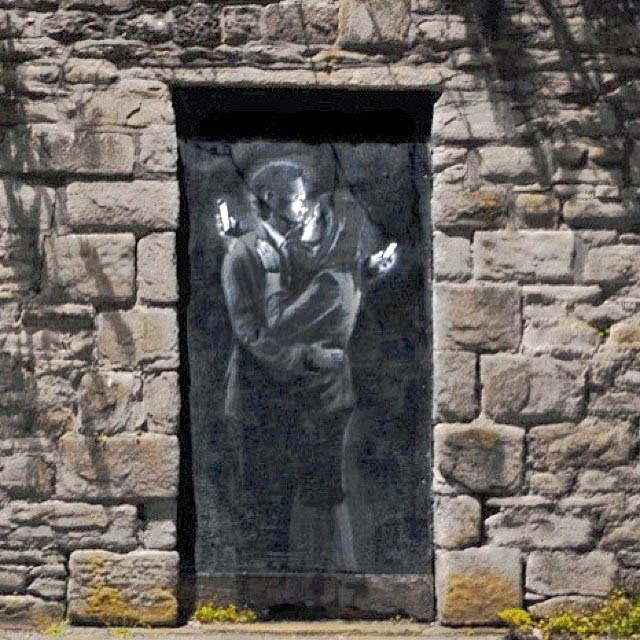 As usual with the British street artist, it’s yet another epic stencil showing a lovely embracing couple being hypnotised by their mobile phones. 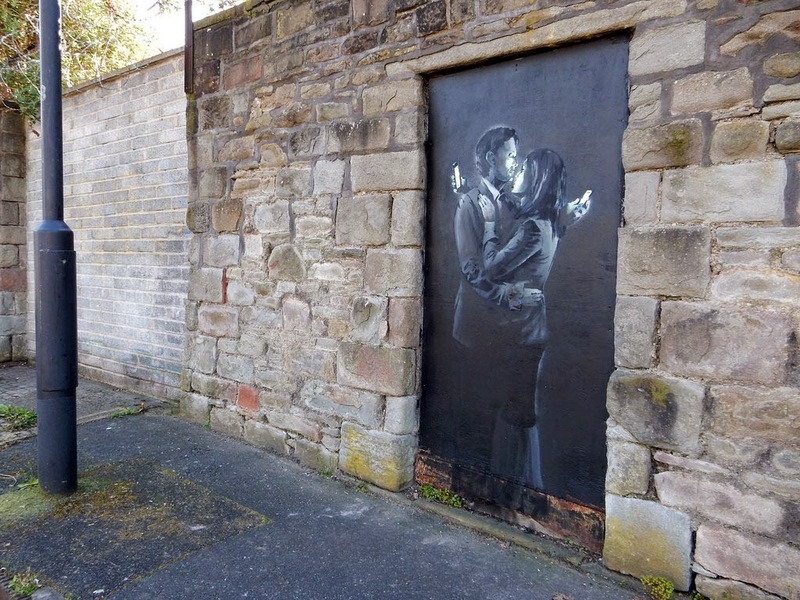 While the location is currently unknown, this appears to be located somewhere in the United Kingdom. 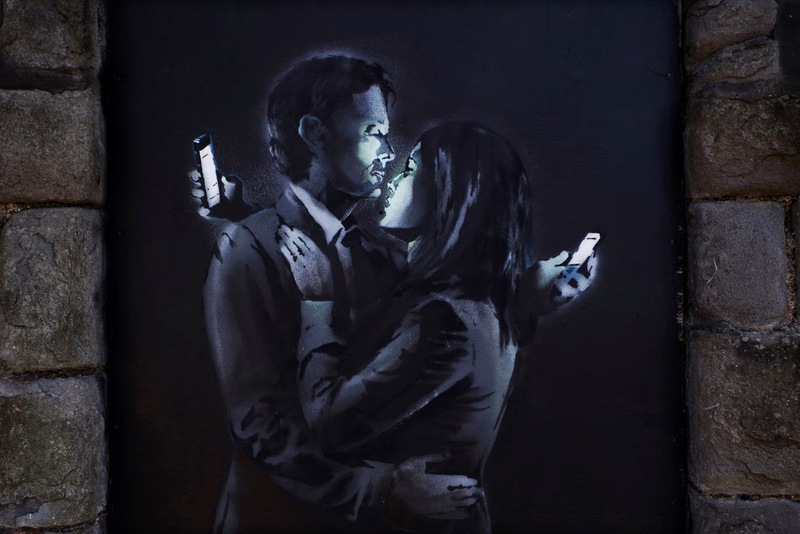 Continue reading to discover the full piece and keep your eyes peeled on Street Art News for more updates on “Mobile Lovers”. 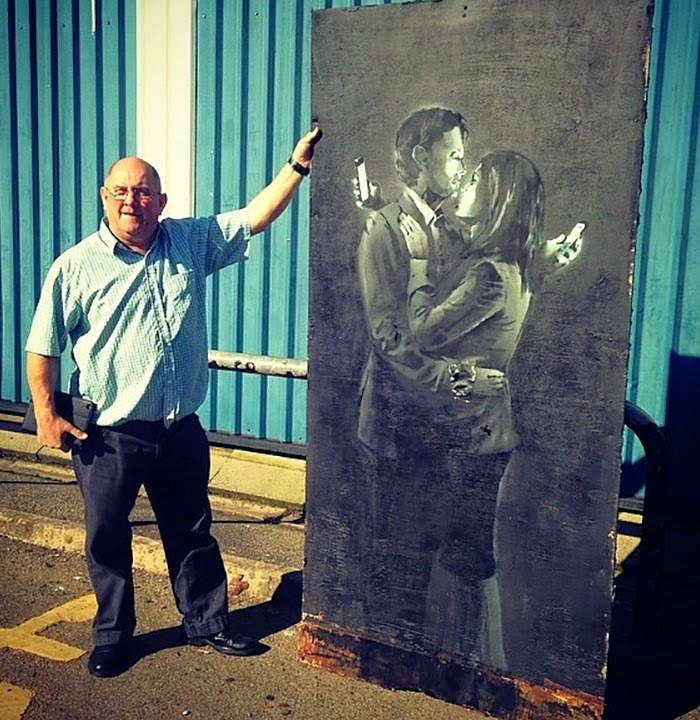 Update 2: Piece has been removed from its Bristol location.